Environmental scientist Dr Kevin Winter has welcomed the City of Cape Town's decision to relax water restrictions and associated tariffs from 1 October. 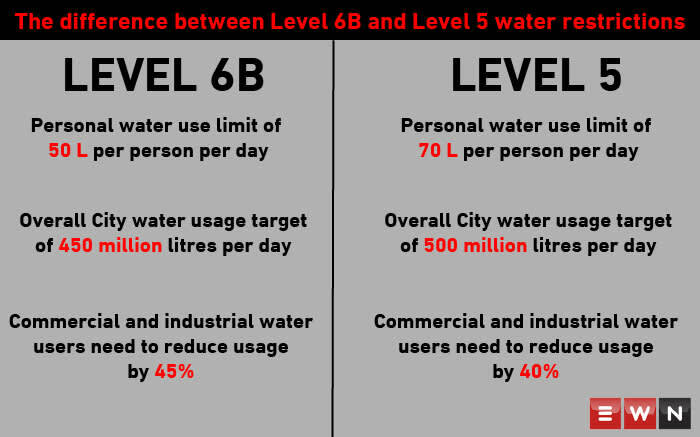 Water restrictions will be lowered from Level 6B to Level 5. The municipality took the decision without the approval of the national Department of Water and Sanitation. Dr Winter says the move will bring some relief to Cape Town's tourism industry and to residents who have been water compliant. I think the move is a good idea. We've been through a very tight period. It's a very important moment to both ease off some of the tensions of trying to achieve this 50 litres and also for the tourism industry as well. This is the moment when people start to decide to come to Cape Town or not. Let's see what happens when we ease it down to level 5 and what the public response is. He says city officials should continue to use data management to test and keep track of water behaviour in the Cape.